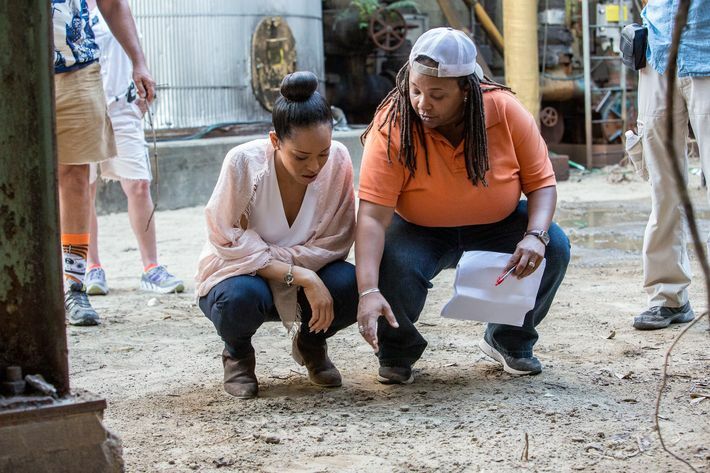 Ava DuVernay behind the scenes of Queen Sugar. When Ava DuVernay set out to make Queen Sugar, the director of the Oscar-nominated Selma and Netflix documentary 13th realized she wouldn’t have time to direct the entire show herself. As she reflected on whom to trust with her TV adaptation of Natalie Baszile’s novel, the names that popped up in her head were filmmakers she’d known and admired through the independent-film festival circuit and other Hollywood circles. She wasn’t thinking about gender, but in the end, she quietly swung open a door for women in the TV industry when she hired only women to direct the 13 episodes of OWN’s critically acclaimed first season. DuVernay’s instincts are a correction of sorts to the way the TV industry typically operates. A report released by the Directors Guild of America in August, tracking the past seven TV seasons, shows only 144 of 619 first-time episodic directors were women. Last season, women directed 17 percent of 4,000-plus episodes of television; of those, just 3 percent were women of color. While the first season of Amazon’s Transparent was the first TV series to be directed entirely by women, creator Jill Soloway helmed seven of the ten episodes and Nisha Ganatra handled the other three. Other series, such as DirectTV’s You Me Her, which was led by Ganatra, have been directed entirely by one female director. DuVernay is the first series creator and showrunner to hire seven women of various backgrounds, five of whom had never directed episodic television. “I needed folks that are like-minded, that share my point of view and embrace my style and would have something to say,” said DuVernay who directed the first two episodes of the series, which airs its season-one finale tonight, and assigned the rest. DuVernay and director of photography Antonio Calvache (Little Women, In the Bedroom) created a cinematic and distinct look for the story of estranged Louisiana siblings who inherit their father’s sugarcane farm. It’s one that builds the world of fictional town St. Josephine, Louisiana, shows off its natural beauty, and accentuates the show’s patient tone. DuVernay wanted directors who would take that vision and run with it. She hired TV pioneer Neema Barnette (Woman Thou Art Loosed: On the 7th Day, Being Mary Jane); Tina Mabry (Mississippi Damned); Kat Candler (Hellion); and Salli Richardson Whitfield (Eureka) to helm two episodes each, and Victoria Mahoney (Yelling to the Sky); So Yong Kim (Lovesong, Treeless Mountain); and Tanya Hamilton (Night Catches Us) for one episode each. 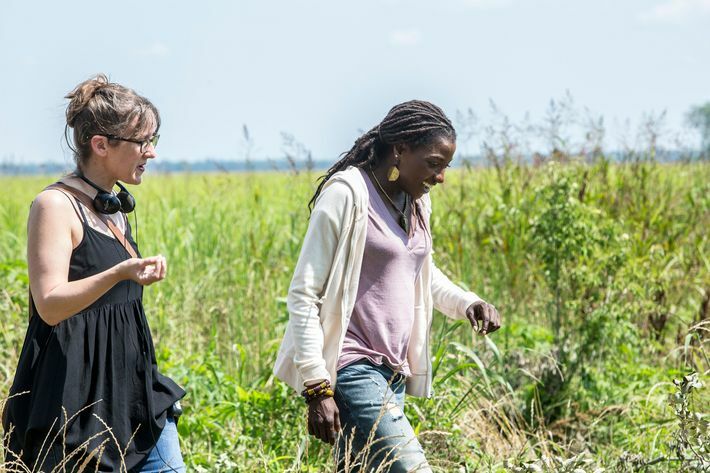 All of Queen Sugar’s directors had experienced similar obstacles as they pursued their first TV gigs — the lack of inside connections to land first opportunities; no agent to help facilitate or no first job for an agent to showcase; even their status as mothers or future mothers came up as reasons for rejection. In addition to the “obvious sexism” behind the excuses, DuVernay says it’s absurd for studios and networks not to appreciate the similarities between helming an independent film and a TV show. Other shows are beginning to follow suit: Last month, Jessica Jones showrunner Melissa Rosenberg announced that she will be hiring all female directors for season two of the Netflix show. 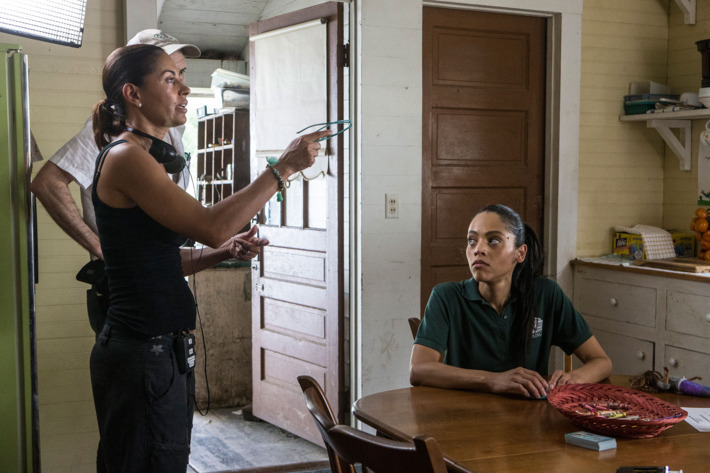 As for Queen Sugar season two, which goes into production next spring in New Orleans, it will have a new showrunner, Monica Macer (Nashville, Prison Break, Lost), and a new slate of all-female directors. DuVernay, who is currently filming Disney’s A Wrinkle in Time, will hire the directors and be involved in editing of scripts and episodes. Except for Barnette, the already-busy TV veteran, working on Queen Sugar has earned its first-season directors jobs at some of TV’s most high-profile shows, including Transparent, American Crime, Grey’s Anatomy, and Netflix’s upcoming Dear White People. 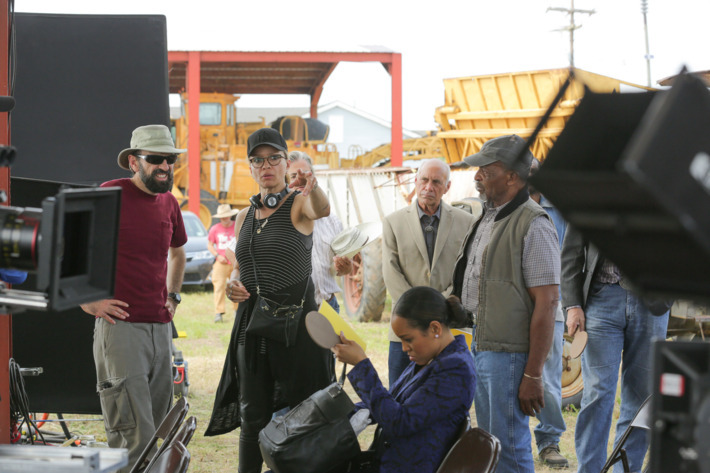 Here’s how they all landed on Queen Sugar. When she was 25 years old, Barnette became the first African-American woman to direct a sitcom — an episode of What’s Happening Now. It was 1986 and her first day on the job ended in tears at the hands of a male assistant director who “was giving me a hard time.” But the kindness of late actress Shirley Hemphill taught her the value of hanging on to her sensitivity for the sake of her art. In addition to directing two episodes, Barnette, who also was the first black woman to land a TV-production deal, served as a “mama bear” mentor on set. 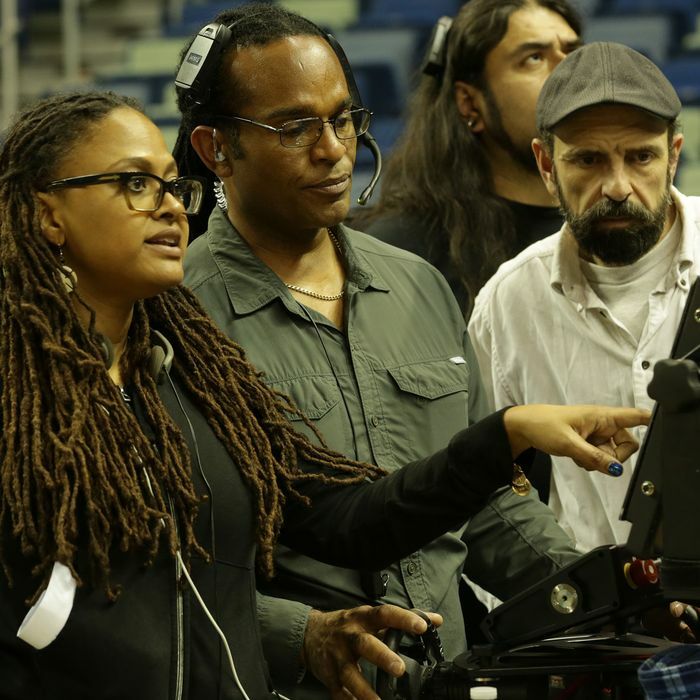 “Neema Barnette is a legend in the space among black women directors and she’s someone who rooted me on very early in my career,” DuVernay said. 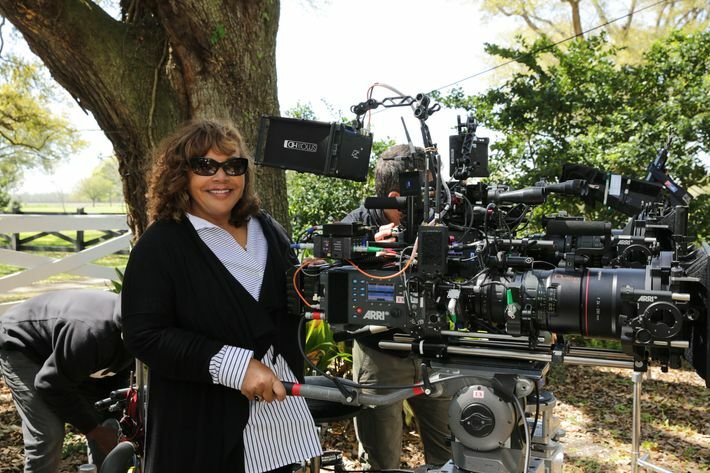 “She was one of the first people I thought of.” Barnette lived in New Orleans for the five months of production and helped each director learn the rhythms of episodic television. Kim, an award-winning independent filmmaker who has made four feature films, met DuVernay several years ago at the Sundance Film Festival. The Los Angeles–based Korean-American writer-director won the Special Jury Prize for her debut film In Between Days in 2006, and premiered For Ellen and Lovesong at Sundance in 2012 and 2016, respectively. Her film Treeless Mountain premiered at the Toronto Film Festival in 2008. A former actress, Mahoney made her directorial debut with the semi-autobiographical Yelling to the Sky, which premiered at the Berlin International Film Festival in 2011. She and DuVernay met through the festival circuit and became friends. She recalls an email DuVernay sent her late last year with a link to an industry trade story about the “abysmal statistics on directorial women hires.” In the note, DuVernay wrote, “Screw this, let’s just keep hiring each other” and asked Mahoney if she’d be interested in working on Queen Sugar. Hamilton and DuVernay met in Philadelphia after her critically acclaimed film Night Catches Us, starring Kerry Washington and Anthony Mackie, premiered in 2010, and stayed in touch ever since. Hamilton moved to Los Angeles from Philadelphia two and a half years ago because she wanted to work in television, but was having trouble finding her start. The actors and crew appreciated Hamilton’s quiet but commanding presence, DuVernay said. “She holds her space so everyone just kind of leans in and listens to her,” she explained. After Queen Sugar, Hamilton directed an episode of Freeform’s upcoming Famous in Love, an episode of the CW’s The Vampire Diaries, American Crime, and OWN’s Greenleaf. “Working on Queen Sugar has given me a certain legitimacy that I didn’t have before,” she said. Candler and DuVernay met through a mutual friend in 2011. A year later, Candler’s short film, Hellion, debuted at the Sundance Film Festival, the same year DuVernay’s Middle of Nowhere won the directing award for drama. DuVernay brought up Queen Sugar when the two ran into each other at SXSW in Austin last year. A film and TV actress for 25 years, Richardson Whitfield was working as one of the leads on the TV drama Eureka when she starred in DuVernay’s first film, I Will Follow in 2010. During their time working together, the actress told DuVernay that she wanted to become a director and had been treating all the sets she worked on as a film school of sorts, learning as much about camera work and process as she could from her directors. When production on Queen Sugar began, Richardson Whitfield traveled to Louisiana to visit her husband, Dondre Whitfield, who plays Remy Newell on the series. When she arrived, DuVernay told her she was not going to have the time to direct as many episodes as she thought and asked her if she wanted episodes 10 and 11. After Queen Sugar, Richardson Whitfield directed episodes of Shadow Hunters, Underground, and will direct an episode of John Singleton’s new BET drama Rebel. She then will return to Freeform’s Stitchers for its third season, where she plays the head of a secret government program, and hopes to direct on that series as well. DuVernay loved writer-director Mabry’s first feature film — 2009’s Mississippi Damned — so much that she kept in contact with her over the years. When it came time to staff Queen Sugar, DuVernay hired her as a writer and elevated her to producer, even though she had no previous TV experience, and offered her directing slots as well. A week after Queen Sugar wrapped, Mabry directed An American Girl Story — Melody 1963: Love Has to Win, followed by two episodes of Netflix’s Dear White People. She is now working as a writer and co-producer on USA’s Queen of the South.